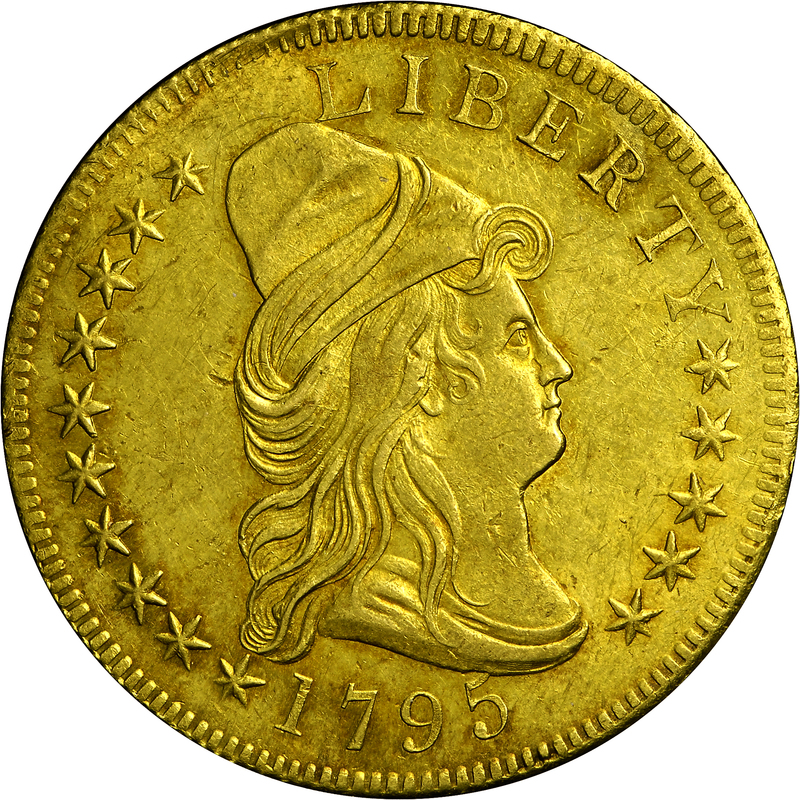 This coin is one of the finest among a surviving population of about 60 examples. Only five or six of these qualify as Mint-State. This is the final variety minted with the 1795 date, probably struck in early 1796. 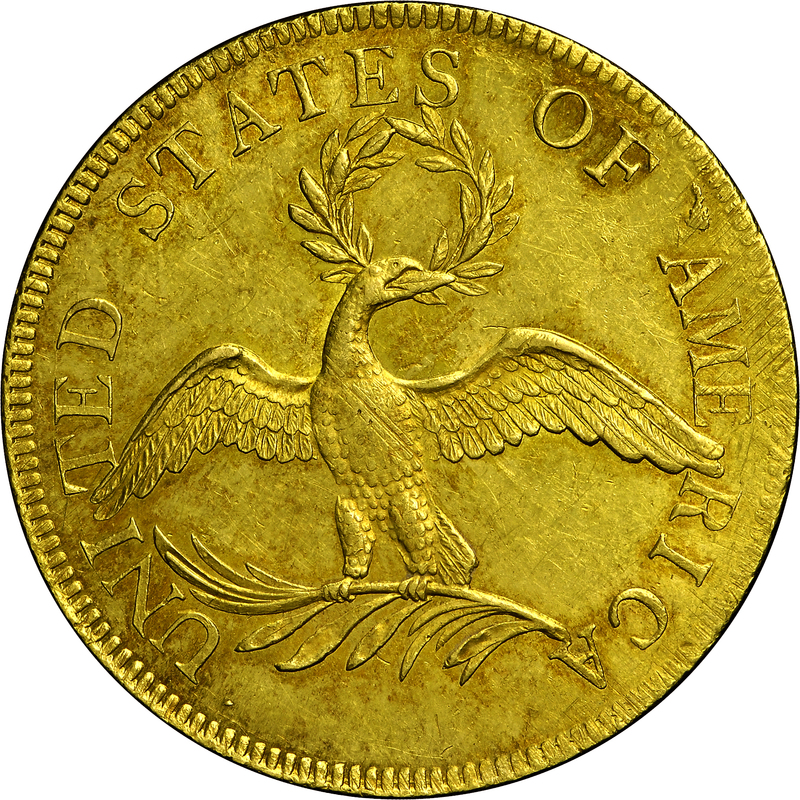 The generally accepted mintage of 1795 eagles includes 1,297 coins in the third quarter of 1795, 1,498 in the fourth quarter, and 2,788 coins struck in the first quarter of 1796. The obverse die exhibits small file lines in the dentils at 11:30, apparently an attempt to repair minor damage to the die. From Abner Kreisberg's sale of September 1973, Lot 1226. "Obverse: Minted after 3/C(a)! Tip of 5 overlain by bust base (distinctive). L touches cap. No stars touch, although many quite close. All stars perfect, having points of uniform length. Point of star 11 not close to Y. Now further lapped, exterior points of stars 1, 2, 9, 10, 11, 12, 15 now noticeably shortened. Section of edge of die from star 9 to L filed, and denticles apparently recut by hand. Reverse: Palm branch tip touches right inside serif of A (distinctive). Serif of R just clear of left wing. Palm fronds distant from U. End of wreath's top right leaf overlain by S, not visible within lower opening of S. Now lapped, an outer portion of eagle's upper right thigh at junction with body missing (mirrored). Also, shallow interior areas of wreath are now enlarged."